In celebration of our nation’s 150th, Canadians across the country have been inspired to celebrate their heritage through creative expression. Leading chefs in Kingston, Ontario are commemorating this milestone through new, innovative menus that will take your tastebuds on a tour of Canada’s past and present – all summer long. Lead by chef Brent McAllister, the team at AquaTerra have created an inspired tribute to Canada’s 150th with a menu designed to evolve with the season – ensuring that only the best and freshest Canadian ingredients are used and that guests get a fresh experience each month. Expect mouthwatering menu items like Wild Ontario Pickerel (with cornflour crust, purple grits, fiddleheads and wild leek) pan-seared Ontario Lamb Loin (with sautéed romano bean, Mill Creek peas, pickled ramps, smoked oats and spring onion), and Maple Cream Pie (with maple pastry cream, maple sugar candy and dolce macaron). 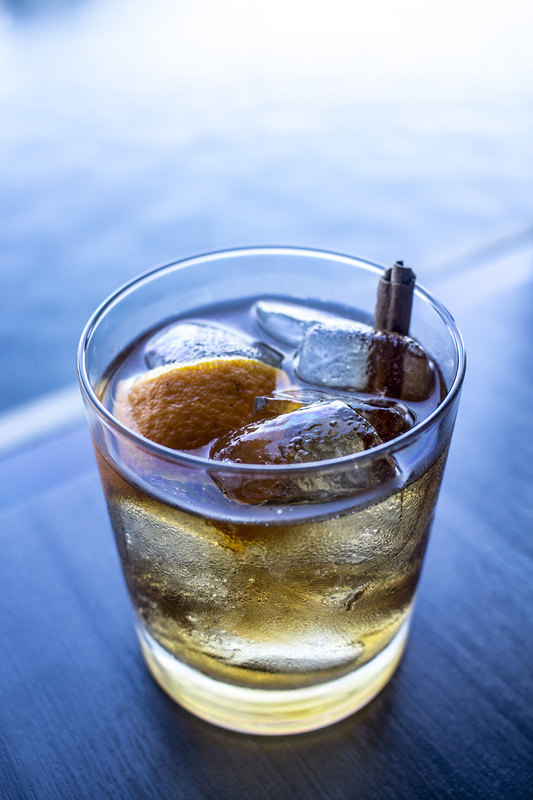 Naturally, the menu will be paired with some of the country’s finest local wines from neighbouring Prince Edward County – and creative cocktails that invoke the tastes and colours of Canada will also be featured. Wild Ontario Pickerel: Corn flour crust, Against the Grain purple grits, fiddleheads, wild leek, Forman Farms cheery + campari tomato, Patchwork Gardens micro greens. Ontario Lamb Loin: Pan seared, sautéed romano bean, Mill Creek peas, spring onion, pickled ramps, lamb jus, wild leek + goat cheese croquette, wild leek out, smoked oats. 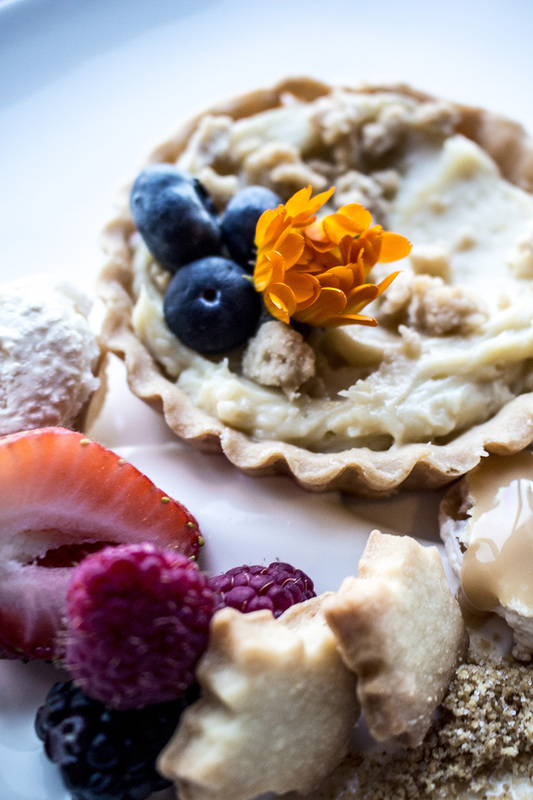 Maple Cream Pie: shortbread, maple pastry cream, whipped Biemond yogurt, maple sugar candy, dolce macaron. AquaTerra’s Smokin’ Old Fashioned Cocktail. 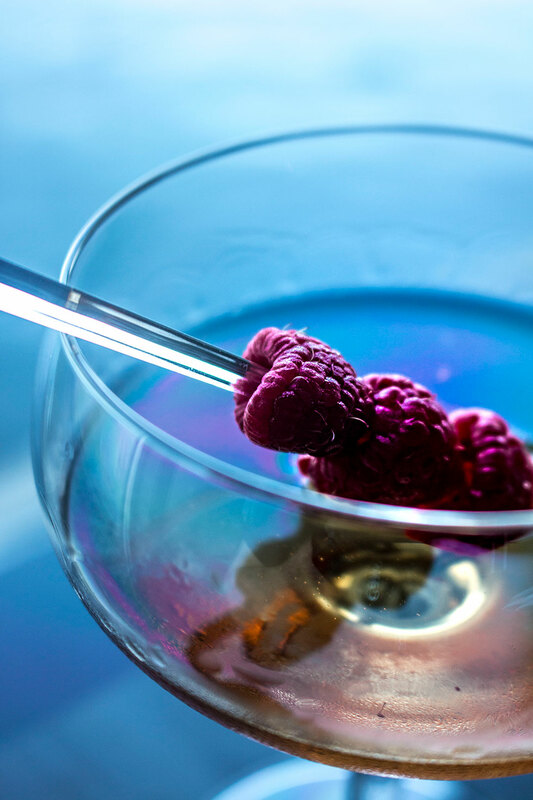 AquaTerra’s 150 cocktail – the Maple Kiss! 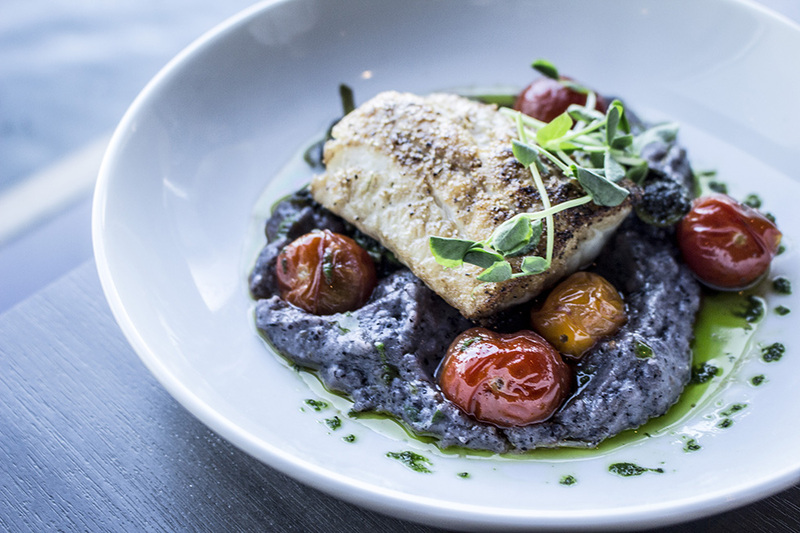 With four must-eat-at restaurants in Kingston (Atomica, Chien Noir, Dianne’s Fish Shack + Smokehouse and Harper’s Burger Bar), the team at Blackdog Hospitality Group have concocted some pretty interesting Canadiana-themed dishes that you need to try this summer. 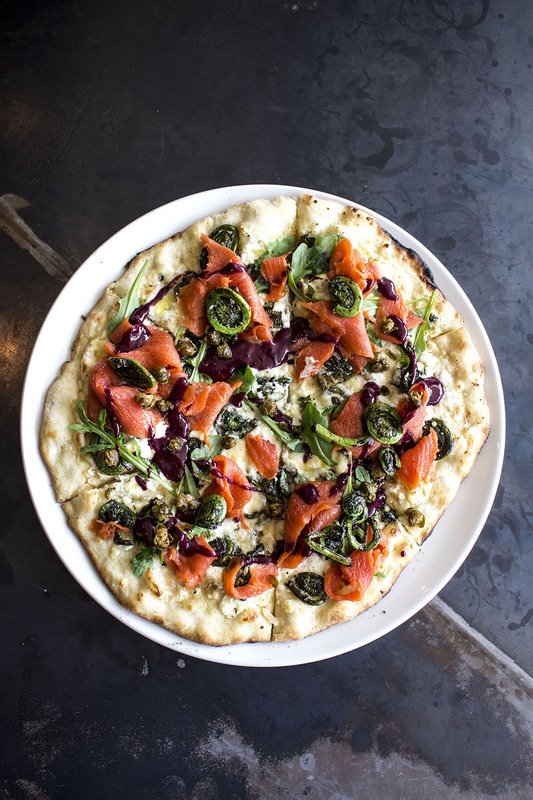 Starting at Atomica, you can indulge in a tempting new pizza designed to encompass the best ingredients from all over the country – including a maple whisky creme, local goats cheese, west coast smoked salmon, locally foraged fiddleheads, and topped with a Nova Scotia Blueberry Coulis. 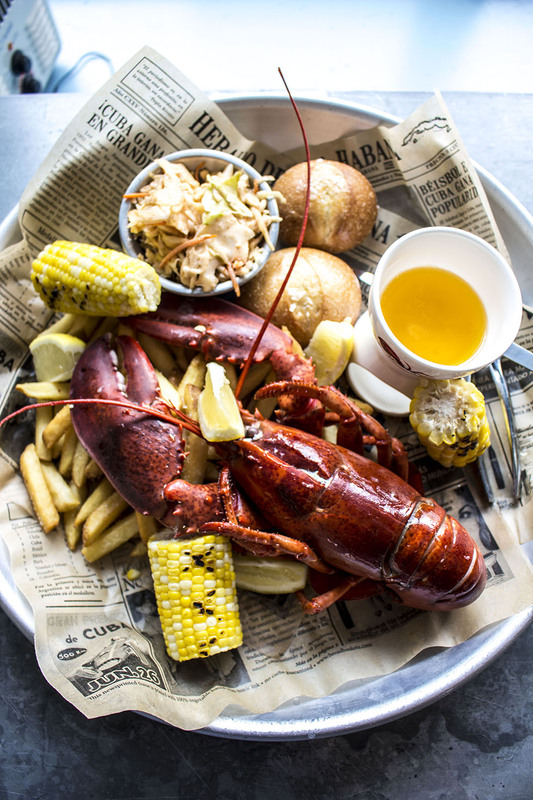 Next, head over to Dianne’s and treat yourself to a classic east coast lobster dinner (or just ‘supper’ as locals call it) with drawn butter, house coleslaw, fries, corn on the cob and warm rolls to warm your soul, followed by a deliciously authentic wild game poutine from Chien Noir. For burger lovers, head over to Harper’s Burger Bar for a Pykeview Medow bison burger with molasses-cracked pepper bacon, Bushgarden pilgrimage cheese, Henderson Farm cranberry jalapeno jelly, and Patchwork Garden microgreens, accompanied by a fresh poutine with cheese curds from Black River. All of these dishes can be paired with local beer or wine, and are available until early fall. 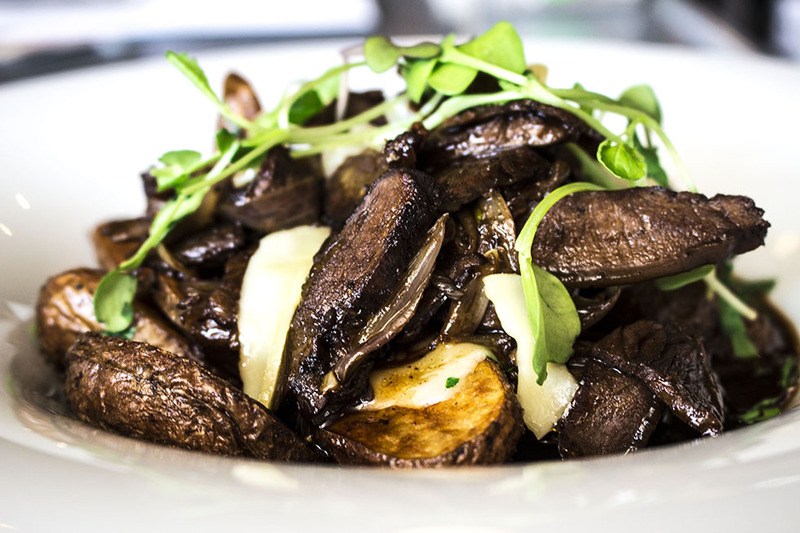 Expect the menu to evolve over the summer to take advantage of the freshest ingredients. Atomica’s East Meets West Pizza: including a maple whisky creme, local goats cheese, west coast smoked salmon, locally foraged fiddleheads, and topped with a Nova Scotia Blueberry Coulis. Dianne’s Classic East Coast Dinner (or just ‘supper’ as locals call it): drawn butter, house coleslaw, fries, corn on the cob and warm rolls. 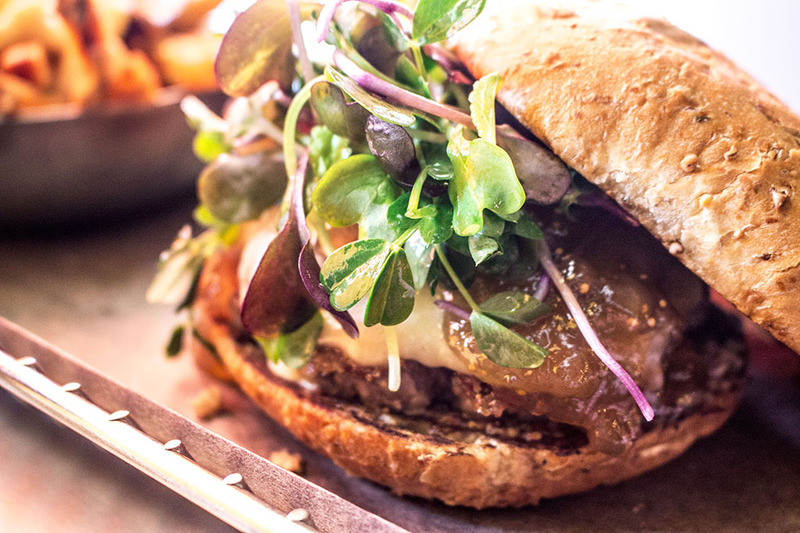 “The Local”: Pykeview Medow bison burger with molasses-cracked pepper bacon, Bushgarden pilgrimage cheese, Henderson Farm cranberry jalapeno jelly, and Patchwork Garden microgreens. 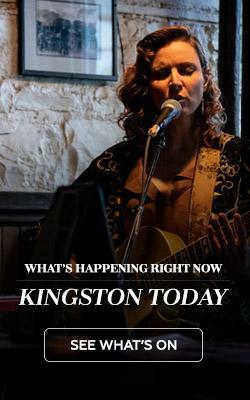 You’ll be hard pressed to find a more appropriate location for a 150 celebration than in Kingston’s Sir John’s Pub, which just so happens to be the one-time law office of Canada’s own Sir John A. Macdonald. 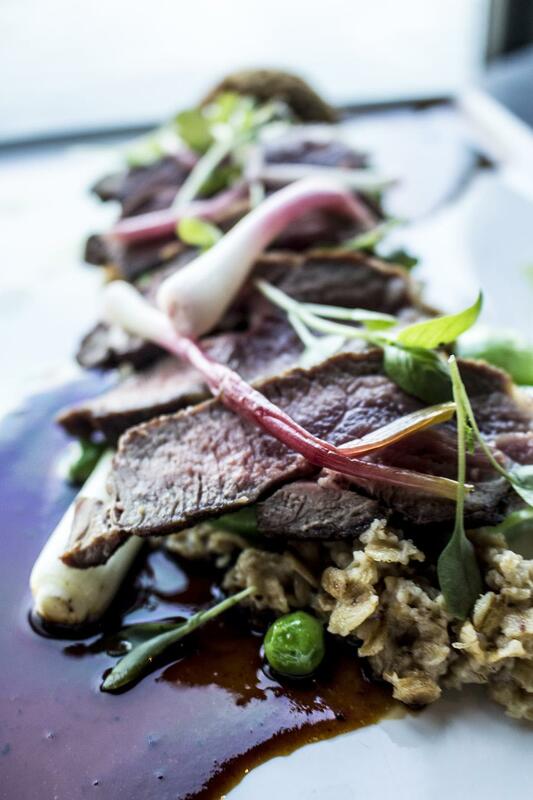 Owner Paul Fortier has created a tasting menu that salutes Kingston’s past and incredible history, drawing on culinary inspirations from French cuisine (did you know that Kingston was a French settlement for about 100 years?) and taking guests on a tasting trip that weaves the story of Canada and its 150th birthday through food pairings accompanied local craft beer or wine. 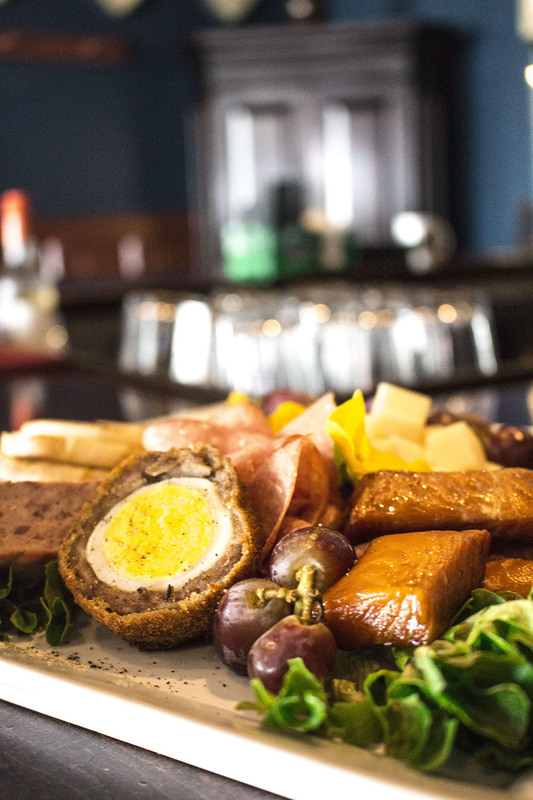 Try the new tasting plate, with Quinn’s bologna from Quinn’s in Yarker, candied maple salmon, pork pate, half a scotch egg, Wilton extra old cheese (from the oldest surviving independent cheese factory in Ontario) and other delicious things you’d find on a plowman’s plate. Tasting Plate at Sir John’s Pub.